Project: sHE is a puzzle game that was designed with a focus on two core concepts and develops them with the end user in mind. 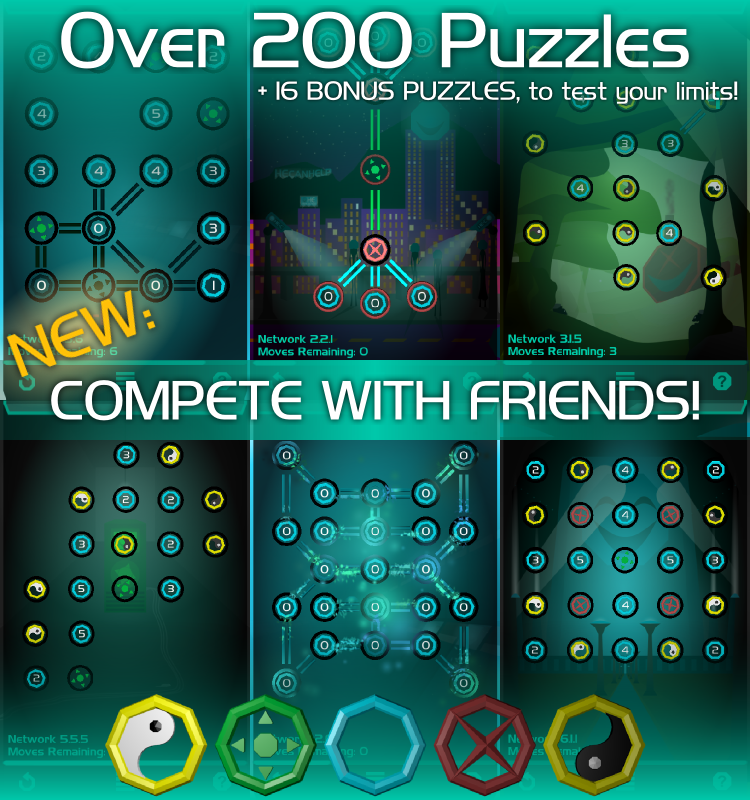 The puzzle mechanics are based on a classic computer science problem offering the user a new kind of puzzle experience that was tested and evolved to be approachable by a wide audience. The game features a rich story, something atypical of most mobile puzzle games. Keeping the user in mind, the story is presented in a manner allowing the user to easily choose their level of involvement based on interest. • Connect with friends to compare progress - race to the finish! • Stuck on a puzzle? Skip it and come back later! • or skip the story whenever you like, there's no wrong way to play! Castor Games is an independent game development studio formed by two close friends. We focus on designing, testing, contemplating and redesigning games to build experiences that bring as much pleasure as we can cram into our code. We hope you enjoy our new title and will share your thoughts with us.